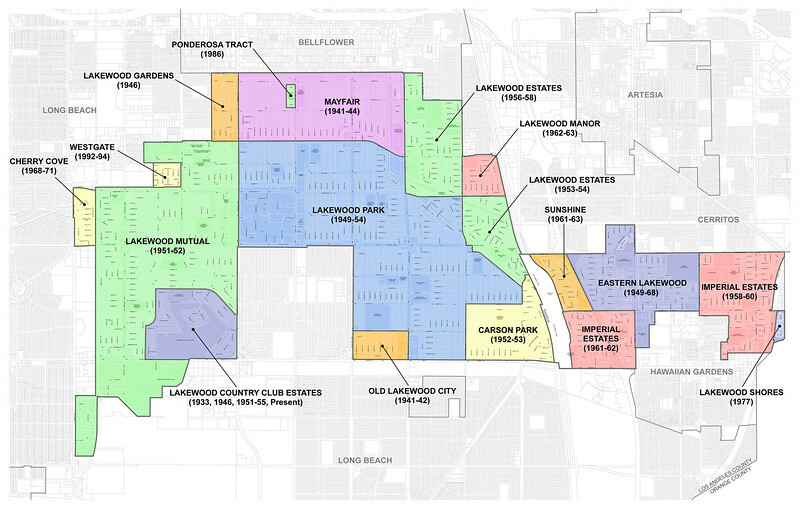 Lakewood's growth began slowly in the 1930s and become explosive during the early 1950s. The map shows the larger tracts. Many smaller developments in the 1950s and 1960s (not shown) completed the mosaic of the city.